In the beginning of our wheelchair collecting efforts, there were only a few of us trying to help Bethel Ministries find some wheelchairs to help fulfill the need. That was August 2012. By God’s Grace, we have seen the effort blossom into a Nationwide Medical Equipment Collection MINISTRY. Many thanks to “On His Path” for their support! Through all this, we have seen many people across the country serving in different ways. Most recently, our friend Tim in Louisville offered his mechanical abilities to help dismantle old power chairs (as noted in the last post). Tim’s offering of his talent reminded me of a blog post from the j127 blog. It was written about an experience from August 2012. 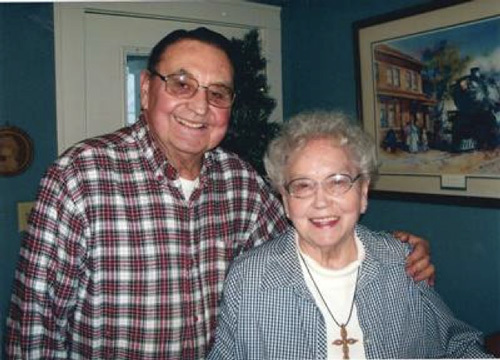 The couple mentioned in the article donated the very first equipment that I collected in Iowa in our efforts. God uses us all in different ways to serve. He allows us to use the abilities and talents we have to serve. For the seven of us flying to Guatemala for a mission trip, we are getting on a plane and physically providing our time and muscle and hearts to the Bethel Ministries team to help the people of Guatemala. Others have their own unique ways to serve. In the process of the wheelchair collection, I connected with a nice couple in my area. Don and Jackie Wells. Once the container was loaded and on its way, I called Jackie to give her an update. I felt they deserved a report, because they were the first ones to donate equipment. Jackie told me she had looked at the Bethel site and was touched by the compassion and generosity that the Bethel team showed toward the widows, orphans, poor and disabled in Guatemala. She wanted to help, more. She started her project. Jackie is around 80 years old and has a heart the size of Guatemala. Jackie’s hands remind me of my Grandma Lucy, afflicted with arthritis. It amazes me that her hands could do fine work. Last week, I picked up her project. Gifts for the people that Bethel Ministries serve. 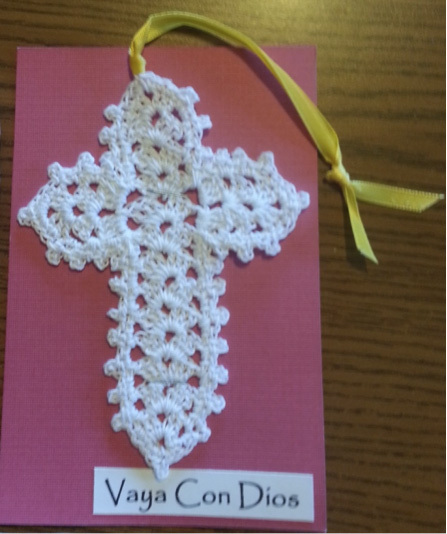 Jackie has made beautiful, 4 inch crocheted crosses. All are then neatly wrapped in plastic and placed in boxes. 337 crocheted crosses! Each one takes her 45 minutes to make. That is 252.75 hours of crocheting! She enthusiastically said, “if they like these, I will get to work right away to make more for the next group going down. 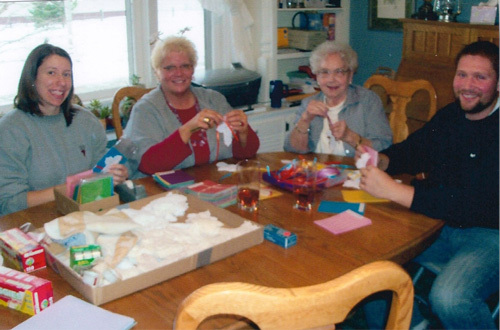 Many thanks to Jackie, Don and their family for the many hours of lovingly making these gifts for our friends in Guatemala. 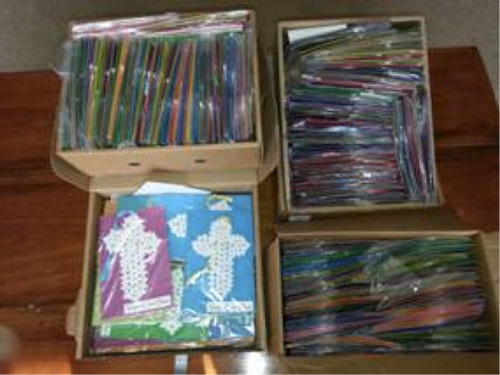 As she crafted each of the crosses, Jackie said she would say prayers for the people that would receive these! What an AWESOME way to SERVE! We look forward to taking these on our mission trip to bless the people of Tecpan, Guatemala! Thank you all who have joined us. We all have different talents. Whether it is a physical talent in our efforts, or simply praying, every talent is greatly appreciated. They all will be a Blessing to someone in need! This entry was posted in Uncategorized on June 3, 2014 by bclarkmission.